I’ve been using this toner for a few months now and haven’t deviated – it’s wonderful. I apply it with cotton once a day (before bed) all over my face and neck, after cleansing and before adding moisturizer or argan oil. My face feels cleansed and refreshed after I use it, and it doesn’t leave my skin overly dry, unlike many traditional astringents or toners that contain alcohol and sting and strip your skin of much-needed moisture. As for the gentle yet powerful ingredients: witch hazel fights acne, puffiness and inflammation; clary sage calms nerves (I really can’t say enough about how much I love the scent of this toner. Maybe it’s just my mind playing tricks on me, but when I unscrew the cap on my homemade toner, I just FEEL more calm. Thanks, clary sage. ); and lastly, apple cider vinegar (ACV) is all-around miraculous as a super food and skincare/beauty multi-tasker. In toner, it’s supposed to help balance our skin’s pH, helping with cell turnover, sloughing off dead skin cells, clearing out pores and even lightening dark spots or age spots, based on what I’ve read. Kathryne and I both use ACV pretty extensively in a bunch of different ways, so it’ll likely be a regular player on our blog. A few things to note about this recipe: since the ACV contains the “mother,” (according to the Bragg website: “strand-like enzymes of connected protein molecules”), you’ll see some cloudiness and stringiness build up in the bottle. That’s fine! It’s good! Your skin likes the mother. Also, you may wish to experiment with the ratio of ACV to water to find the ideal balance for your face. A half cup of water to one tablespoon of ACV is a very mild concentration, but it works well with my skin and should be a good starting point for most everyone. For more on how to find the right ratio for your skin (and a ton more facts and benefits to ACV), check out this fantastic post about ACV toner on Tasty Yummies. Lastly, note that the only ingredient I omitted from S.W. Basic’s original recipe is sandalwood, mostly because I didn’t feel like shelling out the cash money for it – it’s a tad pricy. There are about a million and one ways to make your own toner – from using tea as a base to adding rose water. I’m sure Kathryne and I will cover some more recipes as this blog progresses. 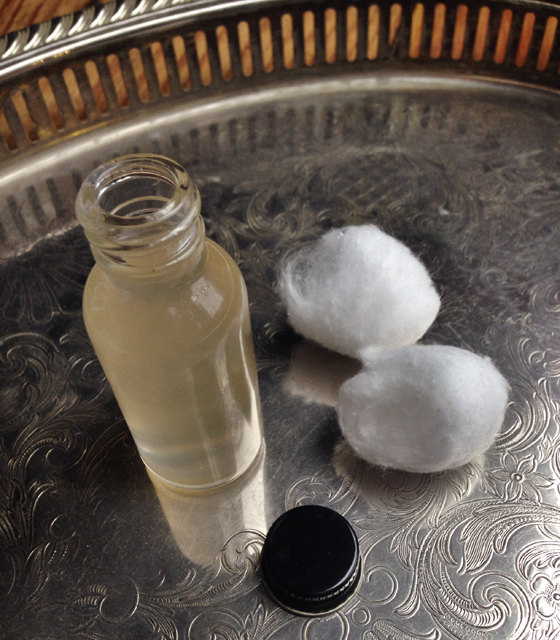 In the meantime, let us know if you’ve concocted your own natural toner recipes. Tell us what worked and what didn’t so we can try it your way next time! Next Article Vegan Baking: Because Why Not? Thank you, Mayah! Huge fan of Call it Vanity. Agreed, I felt empowered to make homemade toner because it’s so easy to combine things in a bottle – no boiling, cooking, or any tricky steps required. I’d like to experiment with other toner recipes, for sure – S.W. 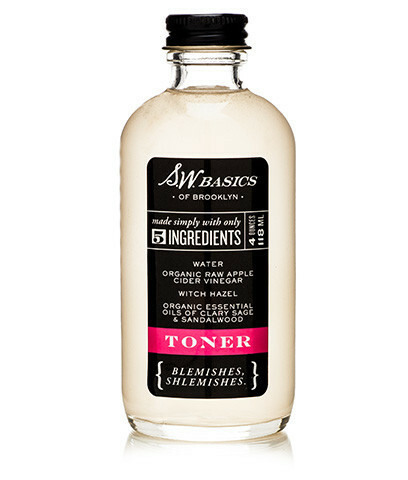 Basics shared a toner recipe on Refinery 29 that uses ACV & lavender, and tea is on my list, too! Let me know if you try any others out! LOL…your opening paragraph to this post is priceless. Thank you for the laugh! I enjoy adding a bit of pure vanilla extract to my toner recipe. I am not sure what benefits it has, but I love the smell and it feels extra smooth and going on. Just a drop or so depending on recipe amount. Maybe you could answer for me: does vanilla extract have any benefits for being used in the toner? This may be a dumb question, but are you using Witch hazel astringent (ex: Thayers or Humphreys brands) or Witch hazel extract?